Big News: Your favorite fiber bars have a new name, and a wonderful new place to call home. NuGo Nutrition, known for creating luscious and decadent protein bars designed for people with a range of healthy lifestyles, is excited to announce that it has acquired Gnu Foods FiberLove bars. 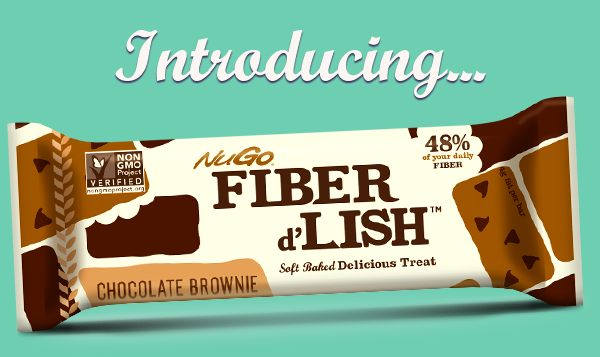 As the newest member of the NuGo family, the bars will have the same recipe as FiberLove bars, but with a d’lishious new name to highlight the amazing taste you already know and enjoy: NuGo Fiber d’Lish. What does NuGo Nutrition’s new ownership of FiberLove bars mean for you? Fiber d’Lish bars will be identical to FiberLove bars in their ingredients, flavors, nutritional quality, and the amount of love and care they’re baked with. The only thing that’s changing is the name of the bar, and the number of stores you’ll be able to find them in. Soon, you’ll start seeing Fiber d’Lish bars in stores that already carried FiberLove bars, and in even more of your favorite grocers and other retail locations – so it will be even easier to find the world’s best fiber bar, wherever you are. We’re looking forward to an exciting new chapter in the life of this amazing bar, and we’re thrilled to have you along for the ride! We promise, it’s going to be delish. To learn more about NuGo Nutrition and NuGo Fiber d’Lish, visit NuGoNutrition.com.